Earn one of the highest savings account interest rates in town with Privilege$aver. Your banking & transaction needs with Privilege Savings Account. Earn savings account interest rates of up to 6% p.a. on Privilege$aver when you save, spend, invest or insure with us. Not only does it offer higher rates than Fixed Deposits, it also comes with the transaction convenience of a savings account. Unlimited free instant interbank and interbank GIRO fund transfers via Standard Chartered ATMs, Online Banking and SC Mobile. Subject to Customer meeting the minimum deposit condition under the Save category. 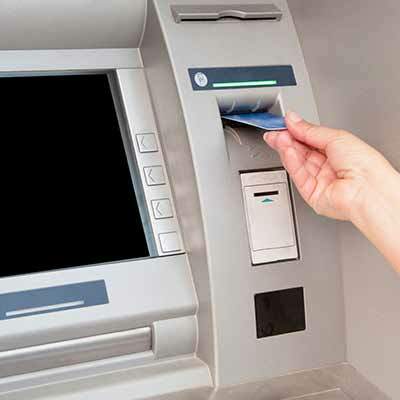 Unlimited fee waiver for withdrawals at over 12,000 MEPS ATMs and more than 360 HOUSe ATMs nationwide. How to earn 6% p.a. interest on your savings account. Base interest is 0.5% p.a. The maximum deposit balances eligible for bonus interest is capped at RM100,000 for Spend, Invest or Insure each month. Privilege Savings Account and earn 2% p.a. bonus interest on the deposit balance in your account. Convert your Privilege Savings Account to a Salary Account for your employer to deposit in every month to fulfill the "Save" requirement stated above. Charge a minimum of RM1,000 on your credit card during the month to earn 1.5% p.a.bonus interest on the deposit balance in your Privilege Savings Account. Set up a Standing Instructions (SI) to make automatic payment to your bills or even insurance premium on a monthly basis to fulfill the "Spend" requirement stated above. Purchase any regular monthly investment or insurance with minimum payment of RM1,000 during the month to earn additional 2% p.a. bonus interest on the deposit balance in your Privilege Savings Account. Sign up for a regular premium Bancassurance or qualified Unit Trust regular monthly plan to fulfill the "Invest or Insure" requirement stated above. Deposit a minimum of RM3,000 in fresh funds during the month into your Privilege Savings Account and earn 2% p.a. bonus interest on the deposit balance in your account. Charge a minimum of RM1,000 on your credit card during the month to earn 1.5% p.a. bonus interest on the deposit balance in your Privilege Savings Account. Choose to see your monthly statements through online banking or receive a copy via email. Our complimentary bill payment service allows you to make payment using your deposit account or credit cards to over 100 participating merchants. The Privilege$aver Campaign will run till 31 December 2019. The maximum deposit balance eligible to enjoy the Bonus Rate is RM100,000 monthly average balance for respective Card Spend and Wealth categories. Invest category includes only Regular Savings Plan unit trust funds purchased where the minimum monthly subscription is RM1,000 and the Eligible Account holder pays a sales charge of at least 2.5%. Insure category means any regular premium conventional Bancassurance or Takaful products purchased through SCBMB or SCSB with the minimum monthly premium amount of RM1,000. The above is merely an excerpt of the Terms and Conditions governing the Standard Chartered Privilege$aver Campaign. Please click here for full Terms and Conditions.